We have taken many steps to provide the healthiest and best scented candle on the market today! In order to make a cleaner & healthier candle, Pure Integrity goes way beyond just using 100% natural soy wax and cotton wicks. Our Innovative Fragrance Technology allows us to use more fragrance than any other candle we know on the market. So the scent throw is incredible. But you will also notice how real our fragrances smell. We do not make fragrances in the same way as the industry standards; we make them healthier and better! Most scented products on the market, including most candles, contain nothing but a bunch of synthetic chemicals. We did not want our family to be exposed to all of these toxins. Our original plan was to use nothing but natural essential oils, essences and/or extracts. However, most of these natural ingredients are not stable in their natural state when burning. Some of them are very flammable; some are unstable and are altered when exposed to heat; some will burn off and therefore throw little to no scent; and only a few of these natural ingredients remain in their natural state. Therefore, we developed a technology to take many natural compounds and make them stable when burning. To accomplish this we use a variety of natural compounds and stable synthetic organic compounds to make fragrances that are not only healthier but smells better! We use many special techniques to isolate and stabilize the best scented compounds. All our Innovative Fragrances are created to be phthalate free and exceed the most stringent environmental standards, including California Proposition 65. I would like to go one step further in discussing the health benefits of Pure Integrity Candles. 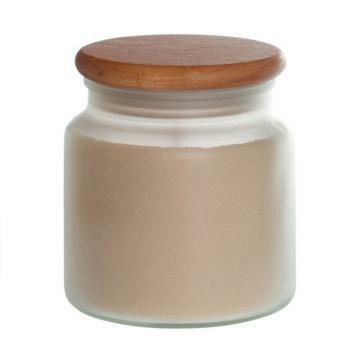 Believe it or not, most soy candles are not even soy. Most soy candles use a little bit of soy wax and blended with paraffin wax (which is made from petroleum oil). Yet, they can legally call it soy wax. 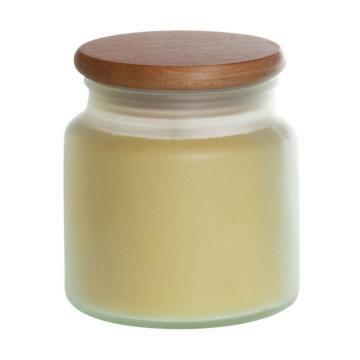 We use 100% natural soy wax, which is made by adding hydrogen to soybean oil, in order to make it solid. In addition, our candles are 100% vegan (no animal products and no animal testing). If you are looking for a great scented candle that is healthier, then look no further. Customers often first try our candles because they are looking out for their family’s health, but they keep coming back because the Pure Integrity Candles smell better. I believe once you burn one of our amazing candles you will never want to go back to another brand. Apple Crisp Soy Candles - A lively, warm combination of oven baked apples with a hint of cinnamon. Very soothing & appealing, especially on a cool fall day. Absolutely delectable! 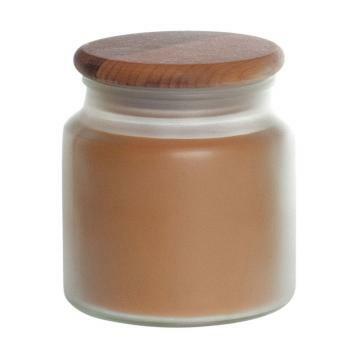 Apple Spice Soy Candles - Brilliantly fresh Macintosh apples beautifully combined with just a touch of cinnamon. A wonderfully subtle yet quite fragrant choice. Autumn Splendor Soy Candles - A classic fall scent. This combination of clove, peppermint and cinnamon is wonderfully warm and inviting. Irresistibly beautiful! Baby Powder Soy Candles - A beautifully strong, fresh, clean scent. Wonderfully soft and powdery, like you just powdered a freshly bathed baby! Buttercreme Soy Candles - Indulge your senses with our velvety, rich, sweet smell of homemade frosting. Incredibly irresistible without the calories. You can just taste it! Caramel Vanilla Soy Candles - A delightfully rich combination of warm vanilla and sweet caramel. This was one of our first candles we made and still one of my favorites to this day. My first choice when I have a little sweet craving. MMMMMMM it smells sooooo good. Carrot Cake Soy Candles - Hot out of the oven, homemade carrot cake, drenched with frosting. Irresistibly sweet! Cordial Cherry Soy Candles - Our Cordial Cherry fragrance is extravagantly rich! Enjoy the essence of rum-soaked Maraschino cherries enrobed in smooth rich milk chocolate. 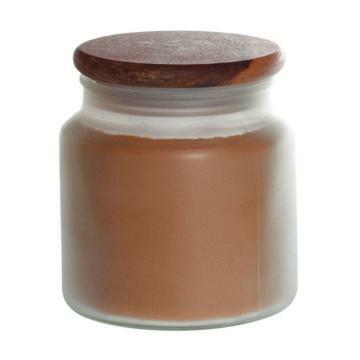 Chocolate Soy Candles - Indulge your senses in this heavenly, rich, delicious aroma of our outstanding chocolate soy candles. You will really believe there are hot brownies cooking in the oven. Wonderfully sweet! 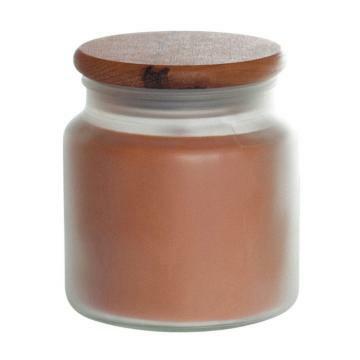 Cinnamon Soy Candles - A truly alluring, spicy aroma. Nothing short of mouthwatering. Great for all year, especially during fall and winter. Cocoa Mint Soy Candles - Sweet Milk chocolate with a blend of fresh peppermint and cool wintergreen mint. 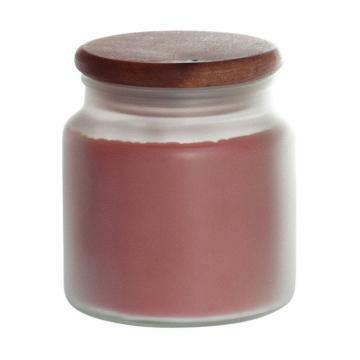 Cranberry Spice Soy Candles - Incredibly tart and juicy cranberries blended with a hint of warm spices. A very popular holiday scent among P.I. customers! Cucumber Melon Soy Candles - A refreshing melody of mouthwatering fresh watermelon and crisp, juicy cucumbers. Wonderfully uplifting! 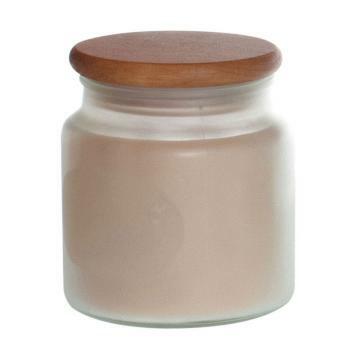 Egyptian Musk Soy Candles - A smooth musk. Not as earthy as most musk. Balanced with notes of light floral's and sandalwood. 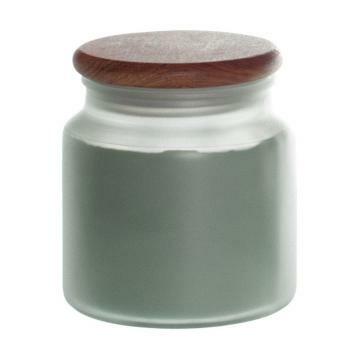 Eucalyptus Soy Candles - A refreshing, cool, invigorating scent to brighten any room. Exceptionally good for keeping mosquitoes away on warm summer nights. Evergreen Soy Candles - A cool, refreshing breath of fresh air. This brilliantly natural scent is vibrant and pure and amazingly fresh. A wonderful scent. 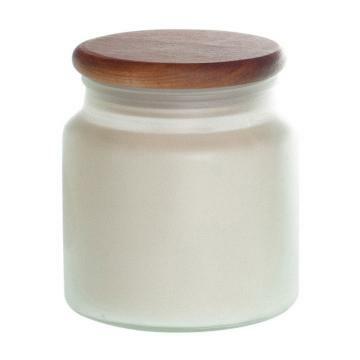 Fresh Linen Soy Candles - The scent of fresh, clean clothes drying in a warm summerâ€™s breeze! Beautifully clean, crisp, and pure. Wonderfully fragrant! Fruit Slices Soy Candles - A bright, unique combination of sweet, citrus fruits. Gardenia Soy Candles - Awaken your senses with the strong, yet soothing essence of fresh gardenia flowers. A beautiful fragrance for your most lovely of rooms! Ginger Fig Soy Candles - Our Ginger Fig Soy Candles fragrance is an exotic blend of fresh tangy ginger with sweet ripe figs. This is a culinary delight that will be a favorite for those who enjoy some of the finer things in life. Grape Soy Candles - Enjoy a burst of the lively, invigorating aroma of fresh, plump, juicy grapes. A bright, vibrant, exhilarating scent! Hazelnut Soy Candles - Oven roasted just right, bursting with a robust, nutty fragrance. Exceptionally wonderful! Herb Garden Soy Candles - Relaxing and tranquil. A majestic, elegant beauty. A "spa-ish" retreat. Very hard to describe with words. Heirloom Tomato Soy Candles - Our Heirloom Tomato Soy Candle fragrance is exactly the fragrance of a vine with ripe red tomatoes. Close your eyes and smell your garden’s tomato plants. Honeysuckle Pear-Honeysuckle is a fresh sweet floral that almost everyone enjoys. But now that we blended it with juicy ripe pear, even your non-floral loving husband will enjoy this unique floral blend. Hot Apple Strudel - Sweet golden delicious, tart green apples baked with cinnamon and wrapped in delicious flaky pastry dough. This is a wonderful baked apple scent with hints of frosting, cinnamon, nutmeg and other spices. Very different from our other apple scents - One of our fall top sellers! Hot Mulled Cider Soy Candles - A spicy bouquet of fresh mulled Macintosh apples with a touch of cinnamon and clove. A wonderful warm retreat on a glorious, cool fall day. 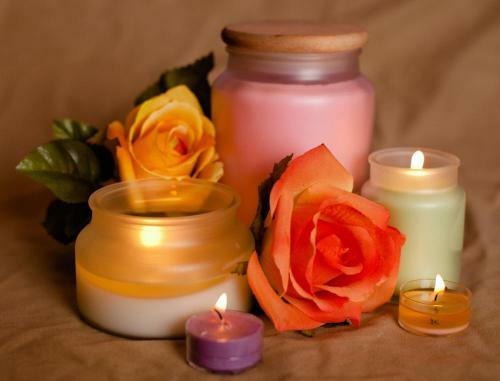 Jasmine Soy Candles - A warm, passionate, beautiful scent to relax with. Lavender Soy Candles - This unique, purifying and calming scent of lavender flowers is a perfect fragrance to spend some quiet moments with. Beautifully full bodied and fragrant! Lemon Grass Sage Soy Candles - Enjoy the fragrance of lively, invigorating lemongrass with fresh green notes slightly enhanced by sage. This is the perfect scent for those who love the Spring season. Lemon Drop - Our Lemondrop fragrance is the scent of fresh tart lemons with just a touch of sweetness. It is an uplifting and invigorating fragrance, and sure to put you in a good mood! Lemon Meringue Pie - A perfect blend of sun ripened lemons, sweet meringue and that warm flaky crust that we all love! 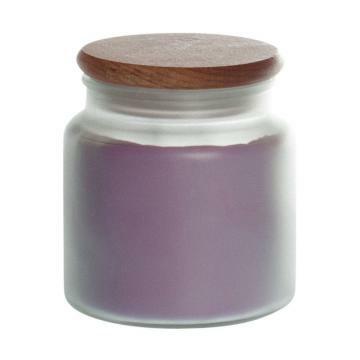 Lilac Soy Candles - The remarkably strong yet pleasant aroma of fresh lilacs. It's as though you are sitting near a blooming lilac bush as a warm breeze sweeps by. You will absolutely love it! Lily Of The Valley Soy Candles - This English wildflower will fill your house with its strong and bold yet sweet fragrance. A breath taking choice to enhance your most beautiful, private haven. Macintosh Apple Soy Candles - The luscious refreshing scent of crisp, ever so fresh Macintosh apples. It is seriously like biting into a crisp, flavorful Macintosh apple. Brilliantly fruity! 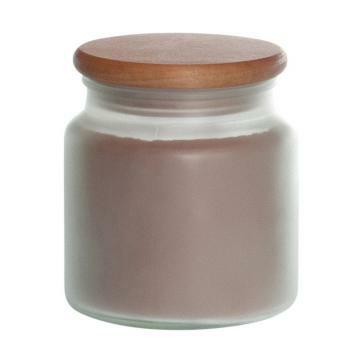 Maple Soy Candles - Rich, sweet and strong. Smells like warm, velvety syrup. Delectable! Mineral Springs Soy Candles -A brilliant aromatic fusion of sparkling mineral water with fresh ozone. Mild notes of bergamot mingle with ylang ylang, white birch and amber to create fresh, earthy ozone fragrance. Mulberry Soy Candles - A wonderfully juicy fragrance of plump ripe mulberries. A favorite English sweet, fruity scent. Great for Holidays and year round! Bright and refreshing. 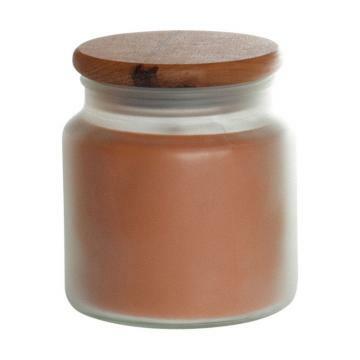 Nutmeg Spice Soy Candles - Oven roasted just right. Bursting with a robust, nutty fragrance with a hint of spice. Exceptionally wonderful! Ocean Breeze Soy Candles - A beautiful fresh, clean, airy scent. Subtle yet wonderfully fragrant! Oolong Tea Soy Candles - Oolong Tea is reminiscent of fresh sun-made iced tea with the slightest hint of honey and fruit aromas. Oolong is one of the most diverse teas in the world with a wide range of properties. Whether you are relaxing on a summer evening or warming up near a fireplace in the middle of winter, you will enjoy the beauty of this fragrance. Orange Pomander Soy Candles- Our Orange Pomander is a wonderfully warm fragrance with a array of wonderful spices including clove, cinnamon and a hint of vanilla. Orange-Vanilla Soy Candles - Tangy, sun kissed orange artfully combined with warm and sweet vanilla. A bright and wonderfully sweet and fruity choice. Patchouli Woods Soy Candles - A sophisticated but bold blend of Indian Patchouli accented with notes of Cedarwood, Canadian Fir Needle and Mysore Sandalwood and Fresh Bergamont. If you like earthy scents, you will love this. Peach Soy Candles - Enjoy the lively, uplifting scent of fresh, juicy peaches. Just like the real thing. A wonderfully vibrant and delectably sweet fragrance! 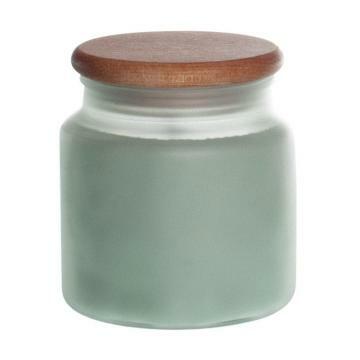 Peppermint Soy Candles - A bright, refreshing, cool, minty-sweet scent. A fresh air refuge. Pineapple Cilantro Soy Candles - The bright fresh and tangy fragrances of Pineapple, Mango and Cilantro create another culinary fragrance delight. Pina Colada Soy Candles - A mouth-watering tropical blend of juicy pineapple and fresh coconut. A delightful scent bringing you back to fun days at the beach. 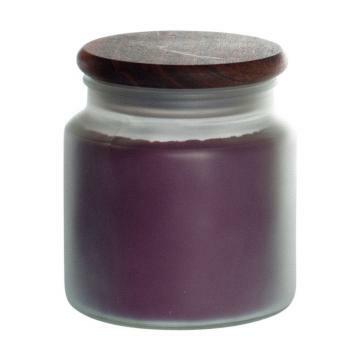 Plumeria Soy Candles - Immerse yourself with the sweet, beautiful fragrance of this native Hawaiian flower. An enjoyable, fragrant, light floral scent! 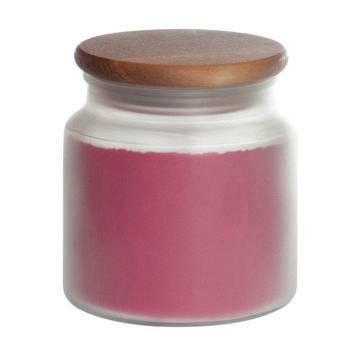 Pomegranate Soy Candles - Our Pomegranate fragrance is artfully unique, fresh and fruity. It is very similar scent to peach, but yet different. If you love eating pomegranate, you will love this scent. 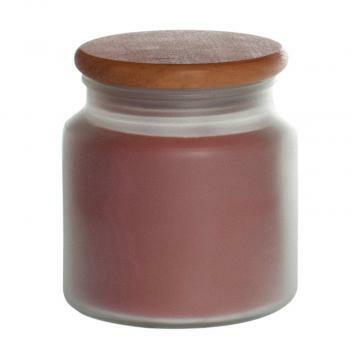 Pomegranate Spice Soy Candles - Juicy Sweet Pomegranate complimented perfectly by a touch of earthy spices, which helps pull out the exceptional aroma of fresh pomegranate. 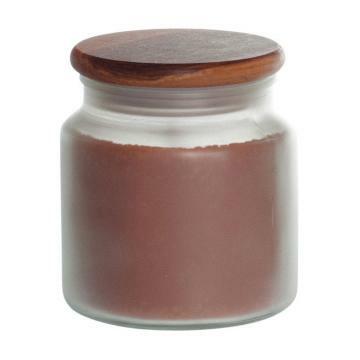 Pumpkin Pie Soy Candles - Oven baked, homemade pumpkin pie with a hint of cinnamon and spices. A masterfully combined warm, pleasing, absolutely delicious scent. One of our seasonal top sellers! Pumpkin Creme Soy Candles- Even though this is a bakery Pumpkin scent, it is quite different from our ever famous Pumpkin Pie Candle. Our Pumpkin Creme candle is a rich warm, creamy pumpkin custard fragrance with herbal notes of thyme and subtle spices. Pumpkin Spice Soy Candles- Fresh pumpkin with a just a hint of sweetness and packed with warm autumn spices such as cinnamon, cardamom, nutmeg and a touch of ginger and all spice. Pumpkin Pecan Waffle Soy Candles- Many consider us to be Pumpkin experts; once you burn our Pumpkin Pecan Waffle you will know why. Everyone who comes in your home will want to know what’s baking. We use just the right amount of maple syrup and brown sugar to make this the perfect healthy indulgence. 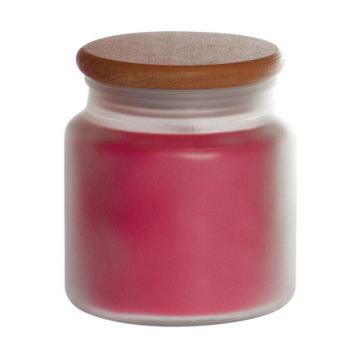 Raspberry Lemonade Soy Candles - Sun ripened raspberries combined with tangy, fresh squeezed Lemonade. A perfect balance of tangy and sweet. 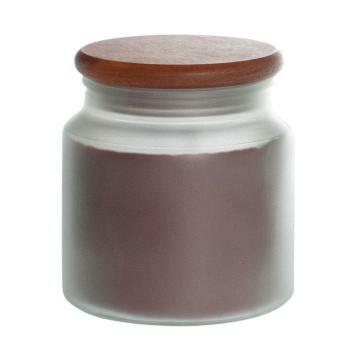 Sandalwood Amber Soy Candles - Sandalwood Amber is a wonderfully musky, sensual scent. Hard to describe with words - Beautifully unique! Strawberry Soy Candles - Bright & vibrant bursting, with fruity aroma. An irresistible, uplifting, sensory pleasing scent! Strawberry Rhubarb Soy Candles - The aroma of sweet fresh strawberries mixed with tart rhubarb and just a pinch of sugar. It might take you back to a simpler times when your Grandmother was making homemade jam. Sugared Spruce Soy Candles - The natural, pleasant scent of pine with a touch of sugar for added sweetness. A very unique and masterfully designed fragrance. A stunning choice for the winter season. Summer Bouquet Soy Candles - A sweet floral that oozes southern charm. Tropical Breeze Soy Candle - Clean and fresh ozone top notes with a balance of powdery and very subtle citrus notes. It is an amazingly relaxing scent. 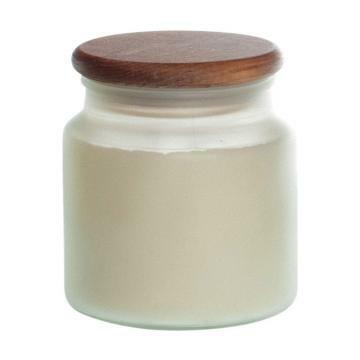 Vanilla Almond Soy Candles - Alluring creamy, vanilla beautifully combined with oven roasted almonds. Irresistibly wonderful! 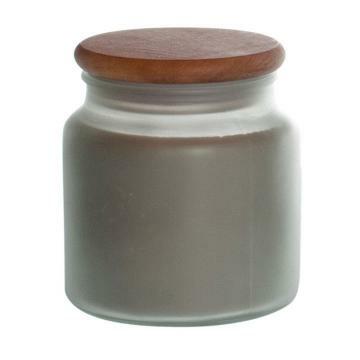 Vanilla Soy Candles - We have been told our vanilla candle is absolutely outstanding! Who can resist the warm, sweet smell of vanilla? A wonderfully enjoyable and relaxing scent. A favorite I often return to! 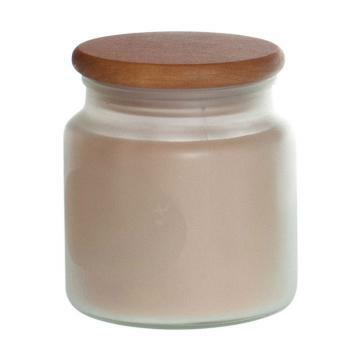 Vanilla Cappuccino Soy Candles - Creamy vanilla artfully combined with gourmet coffee. A coffee lovers delight! Victorian Christmas Soy Candles - This holiday favorite is exclusive to Pure Integrity Soy Candles. It is an exquisite aroma of natural evergreen beautifully combined with an array of Christmas spices. An extraordinary Christmas scent, by far our top holiday seller. Whispering Pines Soy Candles - A natural, earthy scent, combining patchouli and sandalwood. Wild Cherry Soy Candles - Can't get enough of this scent - juicy, bright, fresh cherries! You will just love it! "Phenomenal Fragrances that describes Pure Integrity Candles"
While trying to please my husbands obsession with candles I told him I wanted to see if I could find candles that would blow away the "Yankee Candles" he has been buying for the last 15 to 20 years. I did a "Google" search and started reading some of the reviews about candles. I came across an article that mentioned "Pure Integrity Soy Candles" and I told my husband I think I found a nice replacement for your "Yankee Candle" obsession. He wasn't too thrilled about trying other candles. So I ordered 2 of the 26oz. with scent strength rating of, "WOW" from the website...that was a few months ago...then I ordered 4 of the 26oz candles....and my last order was 8 of the 26oz candles. Now we just can't get enough of the "Pure Integrity Soy Candles"!!!! Thank god I was able to convince my husband to try something different. He won't burn any other candle since trying the "Pure Integrity Soy Candles"!!! We LOVE THEM and the wonderful service we get too....Thanks for sharing your wonderful product. Do you have a question about our candles? ASK IT!